Learn to echo the words spoken in heaven, and see your prayers answered like never before. 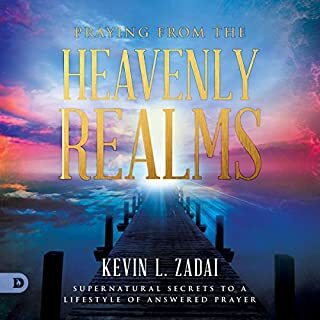 Praying from the Heavenly Realms gives you the secret to answered prayers and invites you to listen to the words spoken in heaven and to release them into your life. How to Overcome the Spirit Before It Destroys You! In Bill Vincent's more than 20 years of ministry, there have been countless spirits and demons that he has personally been allowed by God's grace to overcome in many people's lives. There have been various kinds but none as dangerous as the spirit of Jezebel. This book is as no other Bill has written because of the history of dealing with this spirit so many times over the years. The Church doesn't need to take this lightly. Bill brings this timely message several ways to bring clarity. This must be the best book on the subject! 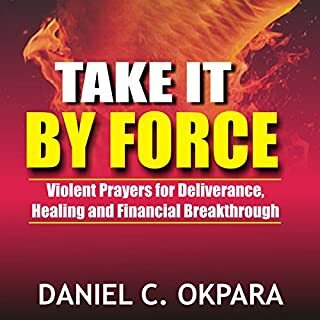 Learn what violent prayers are and how to use them in your daily life to deliver you from satanic oppression. Violent prayers make use of three powerful keys: The thought procession, the push factor, and authority. Combine violent prayers with three days of fasting and midnight praises, and see a quick manifestation of your prayers. 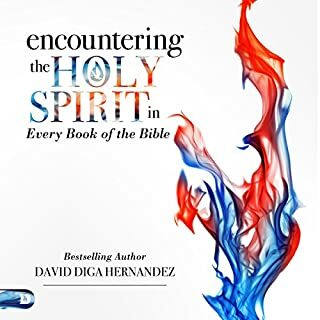 In this groundbreaking work, author and healing evangelist David Hernandez takes you on an unforgettable journey to discover and experience the Spirit’s powerful presence throughout the entire Bible - from Genesis to Revelation. The supernatural visitation described in this book happened in 1992. However, I felt that I could not speak of it openly until the time was right; and that time is now! In the years that followed, I had angelic encounters that are also recounted here. The time I spent in the presence of Jesus profoundly changed me! During this time, Jesus promised that the story of His visitation and the teaching He gave during my 45 minutes with Him has the capacity to radically change you too. Thank you! Kevin. So glad I listened to this. It all began on a fateful day in 1992, when author Kevin Zadai died on a hospital operating table after a surgery. While in heaven, he came face to face with the Savior, Jesus Christ, who later came to Kevin regularly in visitations after he survived his near-death experience. What Jesus revealed to Kevin in visitations about God's upcoming kingdom on Earth and Jesus' future return are revealed in his new nonfiction book, Days of Heaven on Earth. Testimonies to stirr up faith! 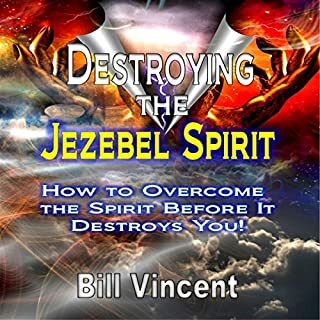 This is a revelatory audiobook that Bill Vincent has released to be a help to those who want a deeper hunger for the things of God. Desperate for God's Presence is sure to stir up all who take it and apply it to their lives. Everywhere we look, the Church is in desperate need to get a passion for God's presence. After writing a five book series on the presence of God, Bill has learned that there is always more. Bill Vincent combines a biblical balance and practical teaching to draw listeners into new spiritual levels of relationship with God. Bill has been a prophetic leader for over 20 years. Learn how to integrate prophetic ministry into the life of your church. What is prophecy? Who is to prophesy? How do the prophetic gifts and ministries function in the local church? How can we recognize counterfeit gifts of the Spirit? This book will answer your questions and challenge you to know God and hear from him you never have before! Discover your identity as a carrier of God's presence, glory and power! Do you sometimes wonder how God can consider you a friend in light of your failures and defeats? 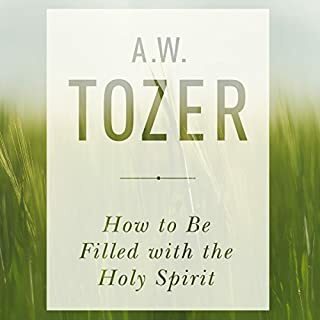 Does your own insufficiency cause you to wonder whether the Holy Spirit truly dwells within you? Do you wonder why your own faith experience is so different from that of the heroes in the Bible? There has been a change in the Christian religion which isn't good. We have lost our way and forgotten who God is. But we have to remember that God is the one who delivers justice to us in the end. He is the one who will decide what happens to your soul when you die. And if you do things right in this world, then He will make sure that you are cared for in the next. Based on years of experience and research, Bill Vincent is dealing with the Demonic Realm. He has dealt with many of the issues that can’t be ignored anymore. You will discover great revelation by a bold preacher and author that will cause you to understand evil with biblical principles. You will discover what may be blocking your life and ministry, what curses may be affecting you, how to break demonic Spirits and Curses, and what may be hindering your healing. This is a book that God has laid on my heart for some time now. I believe that both men and women have first-hand experience with a spirit called Jezebel. I'm referring to more than just a distant spirit; it is possible to be actually married to this foul spirit. This is a true story of my personal life. I really was married to a woman with a Jezebel spirit. I will tell you my story, but will omit the names of people, because we don't deal here with flesh and blood but rather the principalities and powers of wickedness in high places. 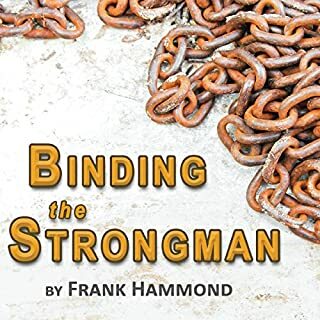 With its Bible-based, time-tested strategies, tactics, and tools to combat the enemy, this book will empower listeners to be more alert to the wiles of the wicked one, take an offensive rather than a defensive stance against the enemy, wage more effective warfare, find rest in the midst of the spiritual storms, and live a life of victory. When the devil comes one way, he will flee seven ways and more with these scriptural tactics that will break the power of his devices. This book will serve as a quick-start guide for battle when all hell is breaking loose. What does it mean to make your case in the “courts of Heaven?” In recent years, God has raised up Robert Henderson as a prophetic voice, calling Christians to pursue breakthrough by using the courts of Heaven prayer blueprint. God is more willing to answer our prayers than we will ever know! The problem is that we face a legalistic accuser and adversary - the devil - who wants to prevent these prayers from coming to pass. Your victory against him is not fought on a battlefield; it’s won in the courtroom. When your prayers are answered, God’s purposes are fulfilled on the Earth. Have you ever imagined your life free from sin and keeping Satan out of your life? There has to be a way. Bill Vincent reveals that the greatest form of spiritual warfare for any Christian is the powerful force of obedience. Satan's Open Doors will give you a fresh revelation of how God supplies in the Spirit and prompt your heart and mind to find hidden sins and identify rebellion. As you are challenged to be holy, you'll discover how grace gives you the power not to be a slave to sin anymore. The Endocannabinoid System: Where Was This in Our Biology Book? What Could Make Loss Prevention More Efficient? Yes- the church needs to be reminded to be a good steward of their own personal gates; not allowing any open doors the enemy can get through. What other book might you compare Satan's Open Doors to and why? Reminds me to bring into captivity all things in your inner being, thoughts, words, actions that might open doors for the enemy to enter into your life. Which character – as performed by Al Remington – was your favorite? It made me take pause and take a personal inventory to make sure no doors are open. a good word all should refesh themselves with. Satan's Open Doors is for real. The only thing you have to do is open a door and then leave it open. Many people in church who claim to profess Christ is closer to hell than they could imagine heaven. narrator was passionate about the reading. and it made me look at my own life to see where I opened doors. Satan's Open Doors is a wonderful resource for laymen and church leaders. Author and minister Bill Vincent has compiled this work from his experiences in ministry and has a desire to see the body of Christ overcome the enemy. 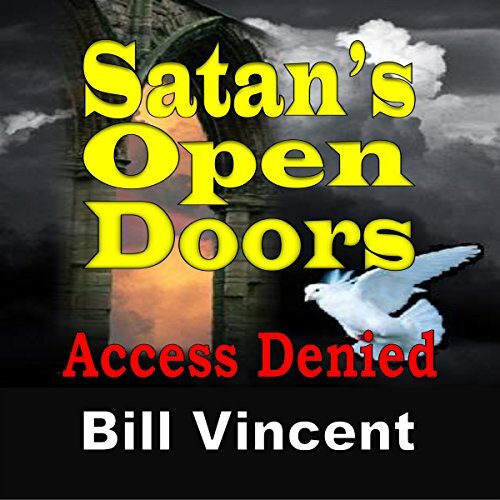 Vincent declares that because both good and evil have access to the supernatural realm, that it's imperative we understand how we can open doors to satanic influence in our lives. I am reminded that the word of God tells us that people perish for lack of knowledge. As you learn the things that both open and close the door to the enemy, you will be better prepared in your journey. Because the demonic realm is real, as Christians we can better equip ourselves to ward off negativity in our thinking, in the things we do, and in the things we say. This timely word for the church can make a difference literally between a successful Christian life or a defeated one. Know the enemy, Vincent declares, is looking for just a crack to penetrate our armor. This informative message will change your life and I recommend it. Would you consider the audio edition of Satan's Open Doors to be better than the print version? What was most disappointing about Bill Vincent’s story? Didn't like his style of writing. Talked to me as if I were a child. What didn’t you like about Al Remington’s performance? I kept waiting for it to get better but it didn't. There are a lot better books out there on religion and the temptations of Satan.